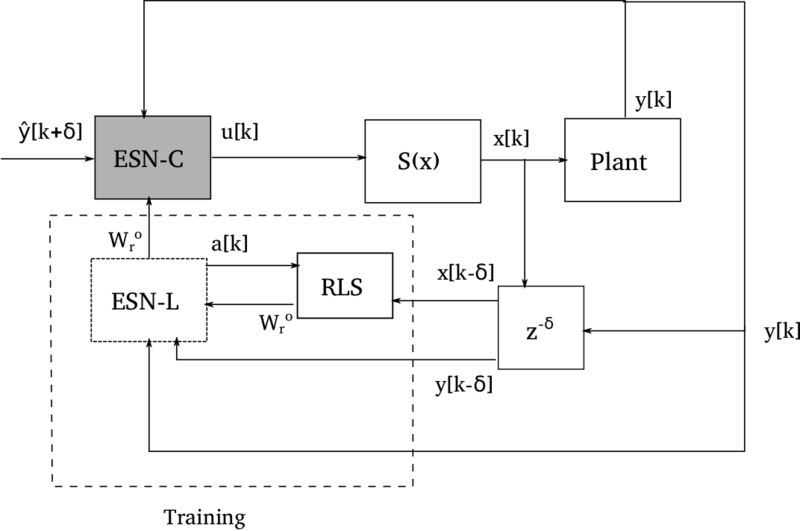 Online recurrent neural network learning for control of nonlinear plants in oil and gas production platforms | Eric Antonelo, Ph.D. This research line aims at designing adaptive controllers by using Echo State Networks (ESN) as a efficient data-driven method for training recurrent neural networks capable of controlling complex nonlinear plants, with a focus on oil and gas production platforms from Petrobras. The resulting ESN-based controllers should learn inverse models of the controlled plant in an online fashion by interacting with the industrial plant and observing its dynamical behaviors. In collaboration with supervised Master Student Jean P. Jordanou. Well model. 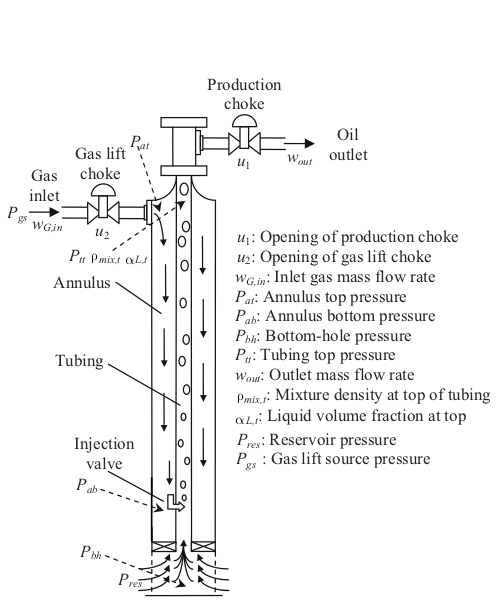 Figure by Jahanshahi et al. (2012). Manifold connecting two oil wells and a riser. Figure by Jordanou. Jordanou JP, Antonelo EA, Camponogara E. Submitted. Online Learning Control with Echo State Networks of an Oil Production Platform. journal / minor review. Jordanou JPanaioti, Camponogara E, Antonelo EA, de Aguiar MAurelio S. 2018. 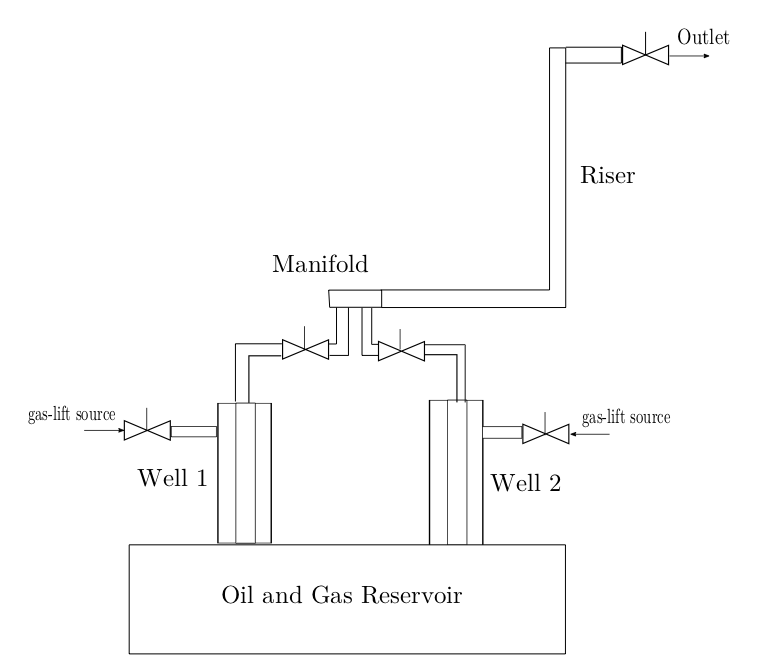 Nonlinear Model Predictive Control of an Oil Well with Echo State Networks. IFAC-PapersOnLine (3rd IFAC Workshop on Automatic Control in Offshore Oil and Gas Production OOGP 2018). 51:13-18.